Guests will just fall for your Awesome Autumn Leaf Rubbing Mural. 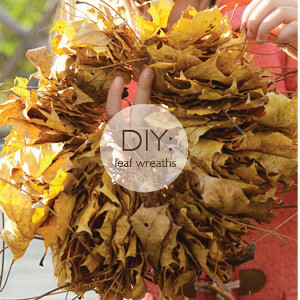 You will have a blast searching for the perfect leaves outside, or in your craft store! This craft for Thanksgiving will decorate your home for months, so go ahead and start rubbing now. You get to use crayons and watercolor paint for this great project. After you've finished rubbing the leaves, you'll have to rub your eyes and pinch yourself to realize that you made this fantastic mural. What do jumping in piles of colorful leaves, carving a pumpkin for Halloween, and stuffing your stomach full of turkey have in common? They all happen in the fall, of course! Fall is a great season to do crafts because your kids can still be active outside before winter blows through. These 60 Fall Crafts for Kids are compiled into a list of fall craft ideas that are all fun and budget-friendly. Toddlers and preschoolers won't be left out with these fall activities for kids and neither will teens. Don't let fall stress you out with all of the holidays; try these great fall craft ideas that use simple materials like leaves and other things found in nature. The only thing better than drinking hot cinnamon cider is a fall craft idea that involves making a DIY Thanksgiving table centerpiece using only paper and your imagination. Your little ones will have a blast with these fall crafts for kids because they're easy and low cost, so you can spend the money you save on the turkey and more time with your loved ones. Guests will just fall for your Awesome Autumn Leaf Rubbing Mural. 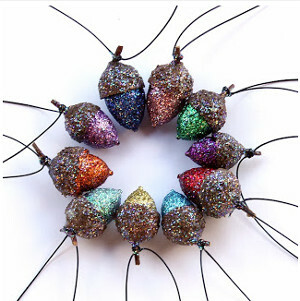 You will have a blast searching for the perfect leaves outside, or in your craft store! Your kids can grab a friend and head outside during fall to create some great nature crafts for kids. They can use a variety of materials, like acorns, leaves, logs, and rocks. All of these things may seem boring on their own, but your kids can make them entertaining with these fall crafts for kids. Fall craft ideas using nature are great because they don't cost a dime. Instead of running to the store, your kids can head to their backyard for a fun time making fall crafts for kids. Fall is the last season they can spend outside without cold temperatures and snow, so they need to take advantage of it by doing fall activities for kids. Whether your kids are making a bird seed burger, a slingshot, or a fairy wand, getting up and active is a great way to have fun. Leaf projects are especially beautiful because your kids can take advantage of all of the red, orange, and yellow around them. All they have to do is look out their window to see the beauty of fall. 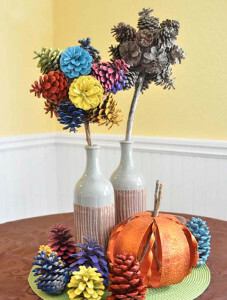 Your kids can let the colors inspire them to do lots of fun fall crafts for kids. They can head outside and gather a handful of their favorite colored leaves to use in many fall activities for kids, or shape leaves out of clay and fabric. These fall craft ideas are so much fun, and they've probably never thought of them before. Don't let this wonderful season with its bright colors pass your kids by. 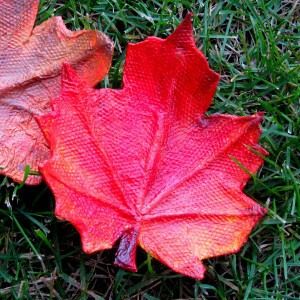 Fall crafts for kids that use leaves as inspiration are truly unique. You certainly can't buy these crafts on store shelves because they are made with your kids' personality and imagination. Do it yourself fall activities for kids are great for little ones who can pick up leaves off the ground and older kids who can cut and sew by themselves. Can't get enough fun leaf projects? 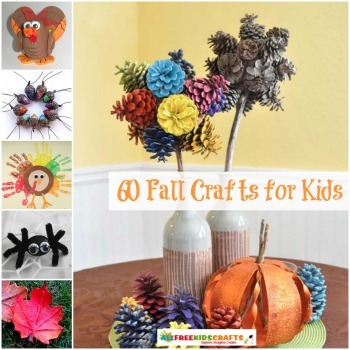 Fall Art Projects for Kids: 20 Crafts with Leaves has a ton more ideas your kids will love! Boo! Halloween can be a scary time, but it can also be a fun one. Let your kids try these Halloween crafts for kids during October to have a great time celebrating the spookiest holiday around. Not all of your kids' crafts have to be spooky; they can be kooky as well, like the Kooky Candy Corn Softie craft. 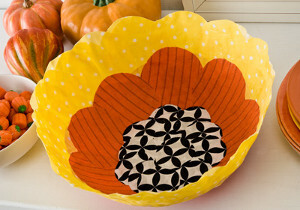 It's an adorable fall craft for kids that's perfect for beginner sewists. Fall activities for kids like making Halloween crafts for kids are a great way to get in the holiday spirit. 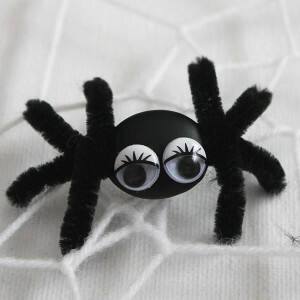 Pumpkins, monsters, spiders, and zombies are all on the list as fall craft ideas. Your kids shouldn't be scared away during October by these fall craft ideas. Kids of all ages can make anything from Halloween crafts to costumes. Thanksgiving is about spending time with friends and family, not spending money on decorations and centerpieces. Have your kids make these fall crafts ideas that are low-budget and perfect for the holidays. Use the time and money you would normally spend at the store making homemade fall crafts with your kids. 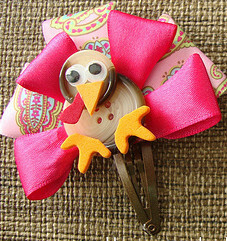 Whether your kids want a fall craft idea that is inspired by turkeys or something to decorate the house, these Thanksgiving kids' crafts have it all. You and your kids can spend November cutting, gluing, sewing, and crafting with some great fall crafts for kids. Crafting for the holidays is alway a lot of fun for kids. 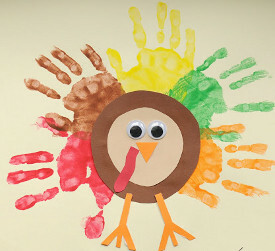 18 Thanksgiving Crafts for Toddlers + Preschool Thanksgiving Crafts has a lot of craft ideas that will get your kids excited about craft time.